Important Information on Periodical Updation. Find out more. As per RBI directives, periodicity for processing Non-CTS cheques in CTS clearing has been reduced to ‘once in a month’ from 01.09.2018, i.e., second Wednesday of the month. No such cheques will be accepted in CTS clearing after 31.12.2018. Please contact your Home branch for replacement with CTS-2010 standard cheques. Introduction of Aadhar in Recruitment. Upgradation of Magstripe Debit Cards to EMV Chip Cards for enhanced security and towards compliance of RBI guidelines. Esteemed customers may please note that Magstripe Debit Cards blocked by them will remain blocked permanently. They are requested to apply for replacement EMV Chip Cards, free of cost, through online SBI, or through their home branch. Dear Customers, Please contact your branch with Aadhaar letter for linking it with Bank account to facilitate transfer of DBT benefits and LPG subsidy. Kindly ignore if already done. IMPORTANT : State Bank of India never asks for your user id/password/pin no. through phone call/SMSes/e-mails. Please do not respond to any such phone call/SMSes/e-mails. Any such phone calls/SMSes/E-mails asking you to reveal your login credentials or One Time Password through SMS could be an attempt to withdraw money from your account. NEVER NEVER share these details to anyone. 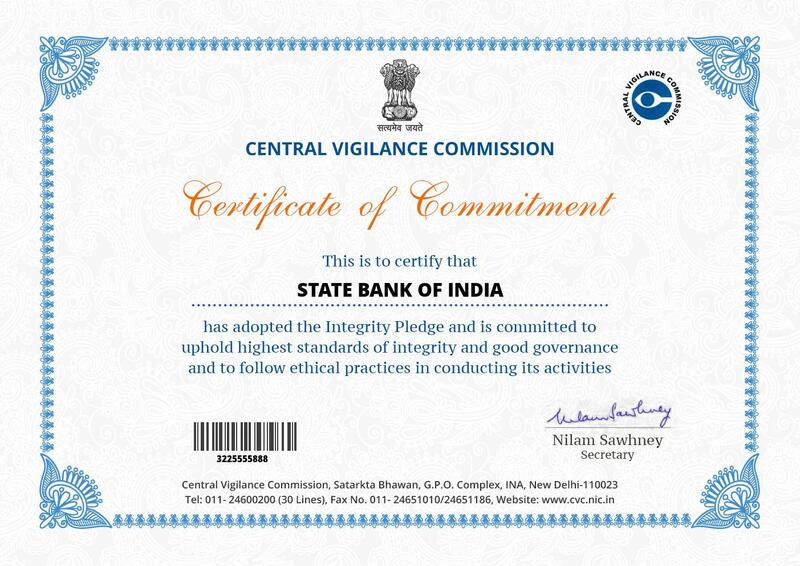 © Copyright State Bank of India. For a better, safer browsing experience, please upgrade your browser using the following links. These links will take you to pages that are not in SBI COIN and will require you to download the required software updates for your browser.